Flower power as a slogan faded out with the 1960s. 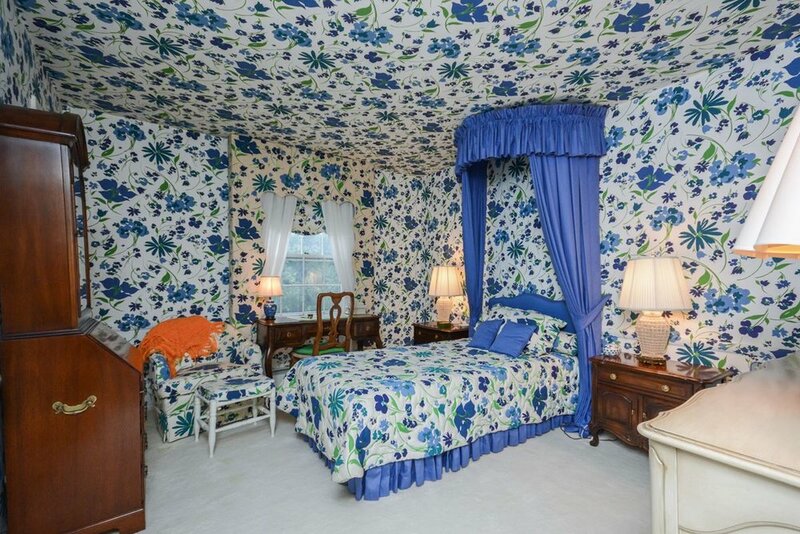 But as a decor motif, it’s still blooming strong in the late Shirley Keller’s house. 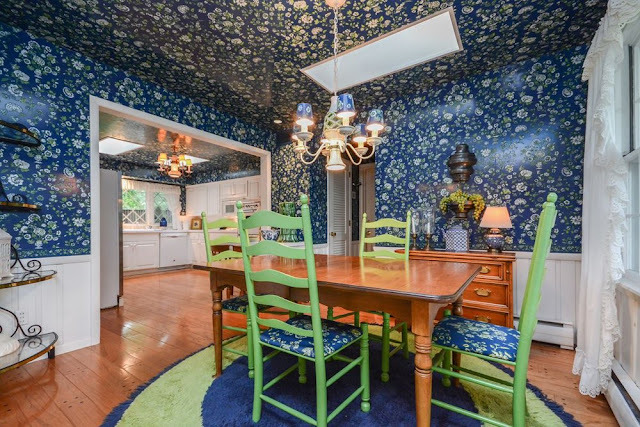 Keller adored bright floral prints. 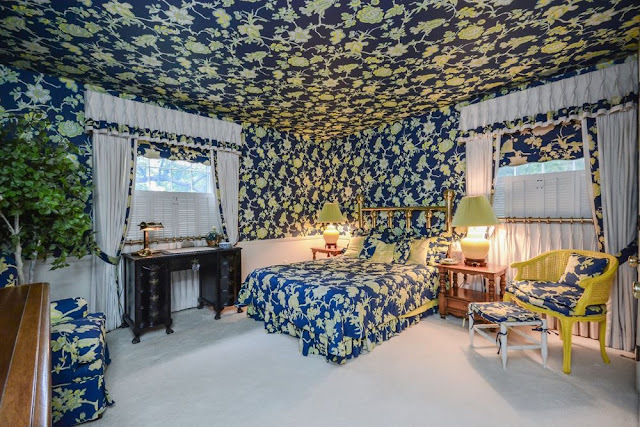 So much so that she covered virtually every room in her Golden Valley home — walls and ceilings — with bold flowered wallpaper, and upholstered her furniture in fabrics to match. 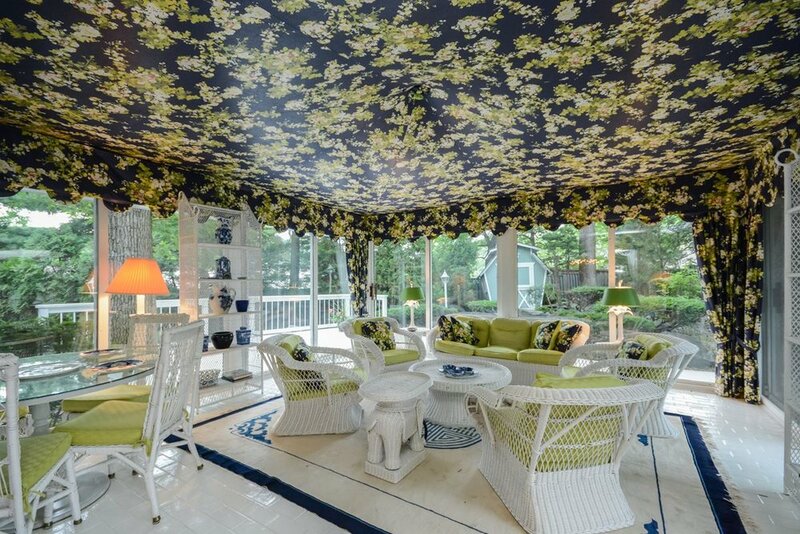 Even her three-season porch is crowned with a tent-like canopy of flowered fabric. 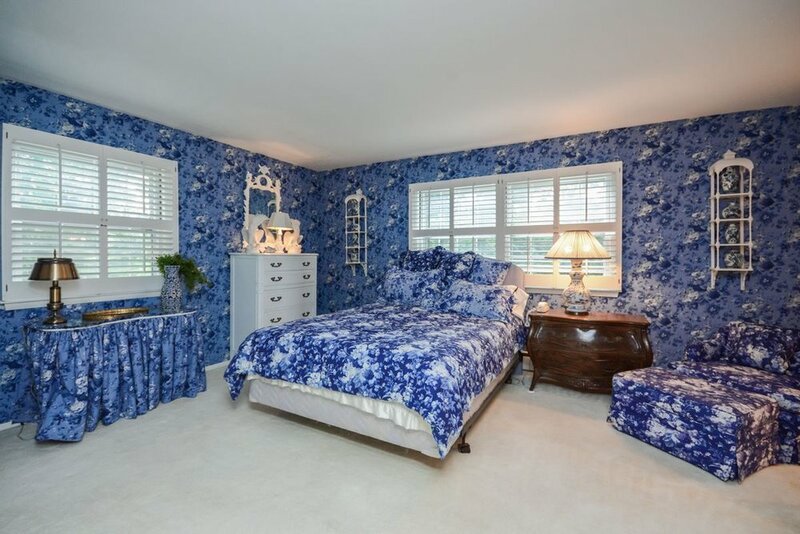 His mother was “an interior designer at heart all her life,” said Frank. A University of Minnesota graduate, she worked as a buyer in the millinery department at Dayton’s before becoming a stay-at-home mom to her three children with her husband, Robert, a real estate developer. As her children grew up, she began decorating model homes and apartment buildings for her husband’s projects, and acquired some design clients of her own. 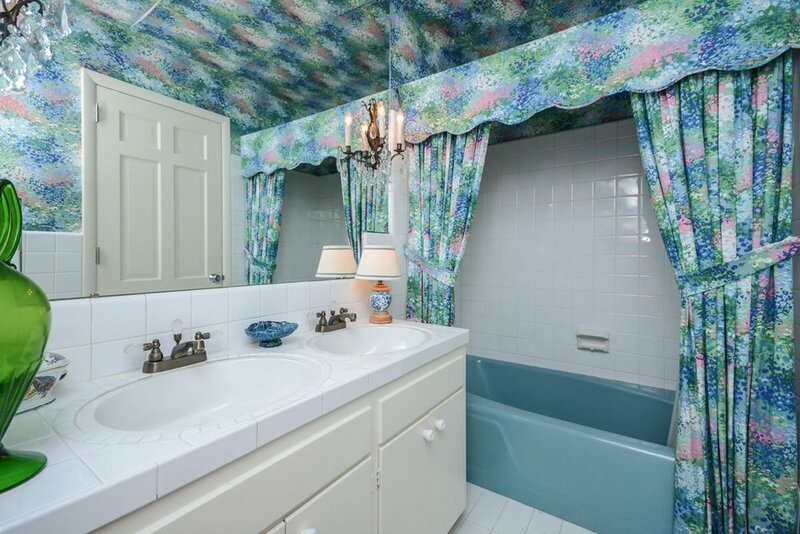 But her own split-level home was her most completely developed creation. 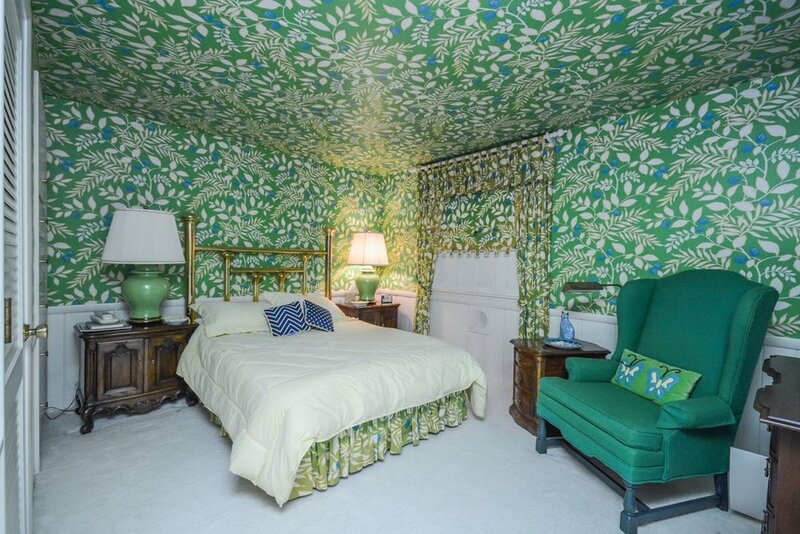 She and Robert built the custom home in 1960, and she lived there until her death in November at age 88. 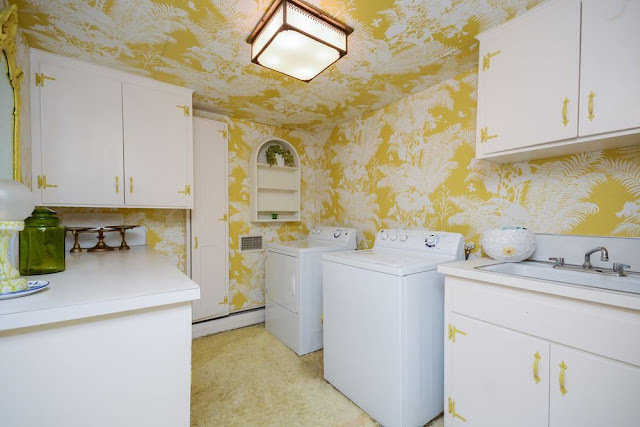 Over those 55 years, Shirley redid her decor three or four times, her son said. “Each time she did it over, it got richer. 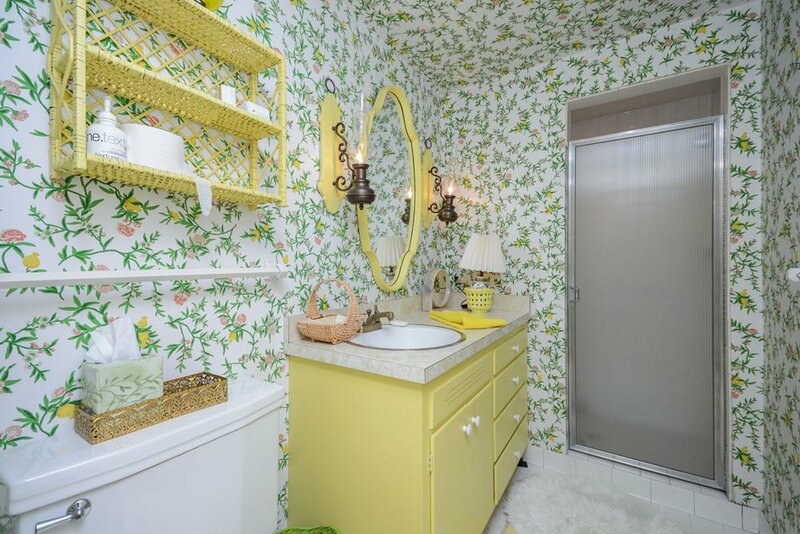 She grew into a bigger, wider sense of color.” The home’s current flower-power look evokes the ’60s but was actually created in the ’80s, he said.The Kellers built their home after falling in love with a Dutch Colonial in Edina that they didn’t get. 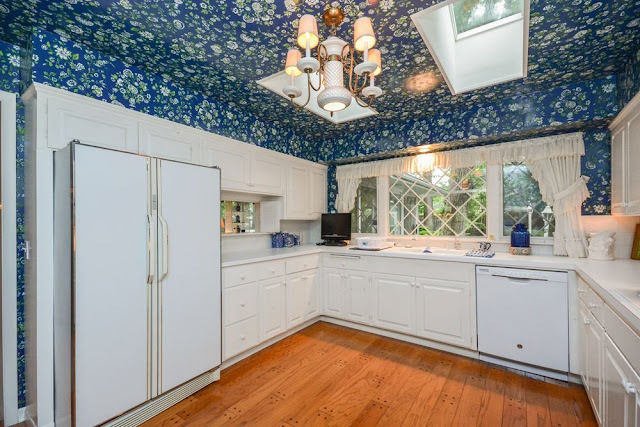 Instead, they found a half-acre lot in North Tyrol Hills and built a big split-level house with Dutch Colonial-inspired features, including barnlike dormer rooflines. 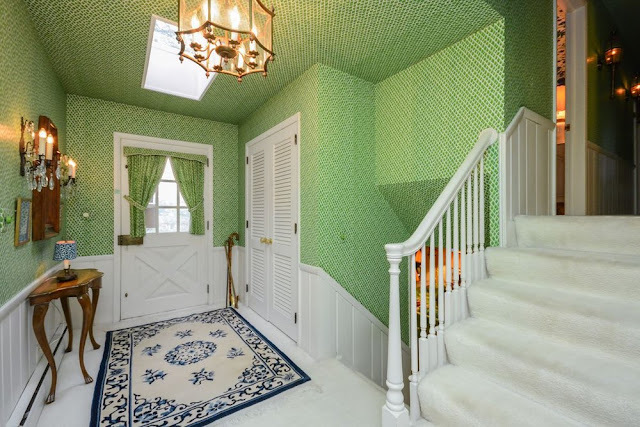 The home’s original interiors had more of a “Minnesota look,” said Frank, including plain walls and oak floors. 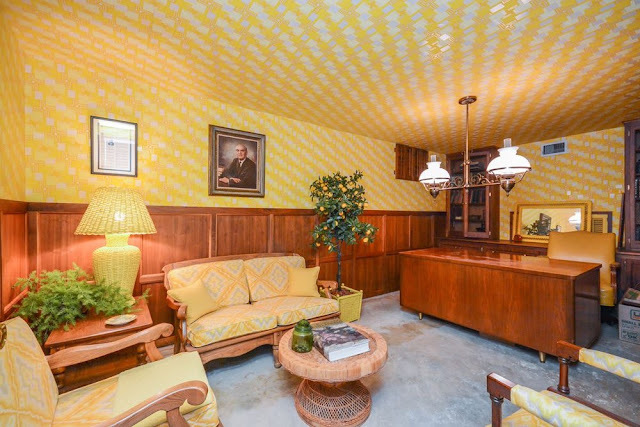 “My mom’s decor in the ’60s was knotty pine with a brick fireplace and big, heavy wood beams,” he said. Her love of pattern at that time ran to plaids and paisleys. The Kellers entertained frequently in their flower-festooned house. “They were very social and enjoyed sharing their house with friends,” Frank said. There were small neighborhood parties, and bigger gatherings of industry friends, including general contractors, developers and bankers. The home’s best attributes include its layout. “It’s very generous, especially for a split-level,” Sprague said, with more than 3,800 finished square feet, large open spaces, three family rooms, four bedrooms, 3½ baths and lots of light. The half-acre lot, with the house set dramatically on a hill and a private backyard with a pond and waterfall, is another drawing card.